If your bathroom is difficult to clean and you are thinking about hiring a specialist to do a deep clean, come to our company. We will make sure that every tile and every fixture get the clean they deserve. We will tackle all the cleaning jobs in less than a couple of hours. We assure you that our bathroom cleaning service in Hampstead has all the aspects you need. Besides, it is inexpensive. It will be a great pleasure for us to pay you a visit and get everything done for you. Schedule an appointment today. We assure you that our bathroom cleaning service in Hampstead, NW3 has down-to-earth prices. You can get your bathroom scrubbed and rubbed for next to nothing if you know where to look at. 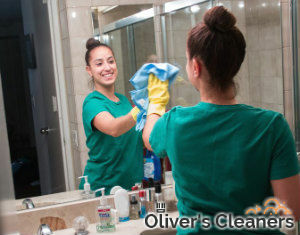 It is understandable that people prefer doing all their bathroom cleaning jobs themselves to getting qualified help. They don’t want to pay for a service that they have the capacity to do on their own. However, you need to know that our bathroom cleaning service in Hampstead is not expensive. In truth, our prices are very competitive. Besides, the price you will have to pay depends on a few factors, so you will actually end up getting the best deal based on the size of your bathroom and the additional tasks that need to get done. The reason you want to use our bathroom cleaning service, aside from our pricing, is that we will put our best effort into fulfilling your wishes. We will take into consideration every request. We will treat your fixtures carefully, using some of the best cleaning tools and supplies we have. You have our word that your bathroom will be cleaned to perfection. If you want to schedule, feel free to call us or message us any time that is convenient. Don’t miss out on this opportunity.